Want to give your guests and unforgettable entertainment experience? Ensuring you and your guests have an incredible time at your wedding day is amongst the highest priorities for all couples. And you’re probably no different in the thinking yourself, right? 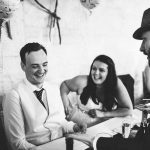 But you’re also looking for a way to make your wedding stand out from the crowd and be a truly unique which is why although booking a wedding magician might not have been your first thought but read on and find out why booking Chris Piercy as your wedding magician it will be one of the best decisions you will make. However you plan it and no matter what your timings for the day are there is always going to be some time when there isn’t very much going on for guests. Typically a couple of hours straight after the ceremony and the same again straight after the wedding breakfast. Although these are the most overlooked times to have wedding entertainment, it is actually the time when the wedding needs it the most. Rather than guests stood around making small talk and having a couple of canapes wouldn’t it be great to have some wedding entertainment at this time? He’ll keep the day flowing and turn these potential lulls into guaranteed talking points. And best of all he’ll actually be allowing you to go and relax whilst having your photos taken rather than feeling as if you have to rush back to your wedding guests. 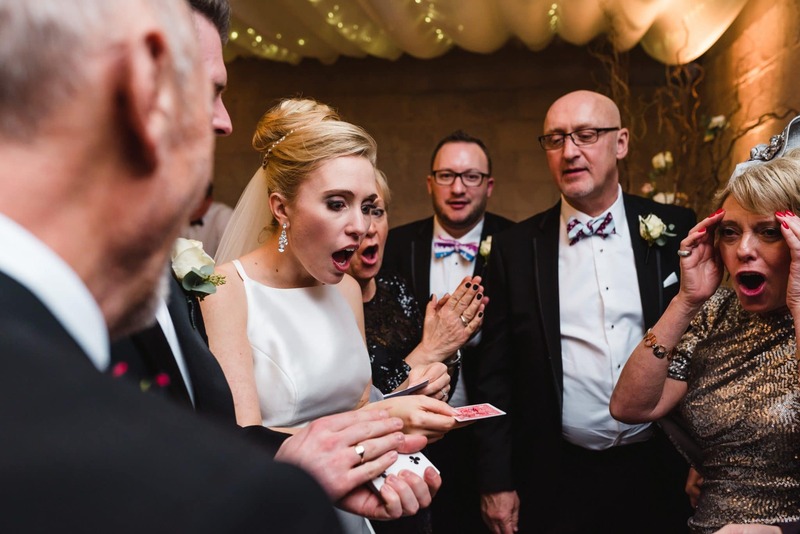 Chris is one of very few genuine full-time professional magicians and one of the most in-demand and respected professional close-up wedding magicians in the UK, often getting booked up to 3 years in advance. Register your interest in booking Chris as your wedding magician NOW or risk being amongst the dozens and dozens of couples each year who unfortunately miss out on having Chris wow at their wedding by enquiring too late. We had the pleasure of having Chris entertain our guests at our wedding at Coombe Lodge all day. All our guests and ourselves where absolutely amazed all day and at the end of the wedding breakfast Chris performed in front of everyone which was the highlight of the day as he got our guests to interact with him and was absolutely hilarious. Chris is a very talented magician, very professional and is very attentive to all, and a really genuine nice guy. We would highly recommend and definitely worth the money. When should I have Chris perform at my wedding? Breaking the ice between new family and friends. Keeps the day flowing at a time when there’s not much else going on. Shows your guests that you’ve thought of them. Allows you and your partner to relax and enjoy your photo time. Sets a great, fun, easy going atmosphere for the rest of the day. Gives guests immediate talking points thus making your table plan easier. Coordination with catering team to ensure maximum performance efficiency. Gives later tables entertainment first so they’re kept happy. Performing only when guests aren’t actually eating. Creates an entertaining transition between afternoon and evening. Allows for an efficient room turnaround. Stops guests just heading to the bar! With the formalities over its the perfect time for guests to just have fun! Great entertainment for those who aren’t ready to hit the dancefloor yet! It’s basically party time – who doesn’t love magic, right? Magic, Mindreading and optional hypnosis creating an unforgettable experience. Probably the best part of the day! The time we had Chris for was probably the best part of our day! Let Chris become the talking point from your entire wedding by booking his Platinum Package. Chris will perform from your ceremony finishing right up until your first dance taking breaks wherever necessary. Filling in all of the down time from the entire day turning lulls into laughter with his mindblowing contemporary blend of magic, mind-reading, quick-wit, humour and optional hypnosis. – 4-5 Hours of Chris performing at your Wedding. 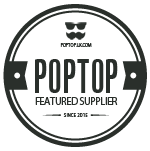 – No extra charge for performance breaks. – Perfect if you have more guests arriving for your evening do. – Best package for real magic lovers. – Includes deluxe performance to the happy couple. The perfect package for turning one of the inevitable lulls in the day into a unforgettable experience for your guests. During this 2-hour package Chris will entertain guests of all ages with magic, mind-reading, quick-wit, humour and optional hypnosis. You can use this at any stage of your wedding but Chris recommends it for the times when there’s the least amount of other things happening for your guests. 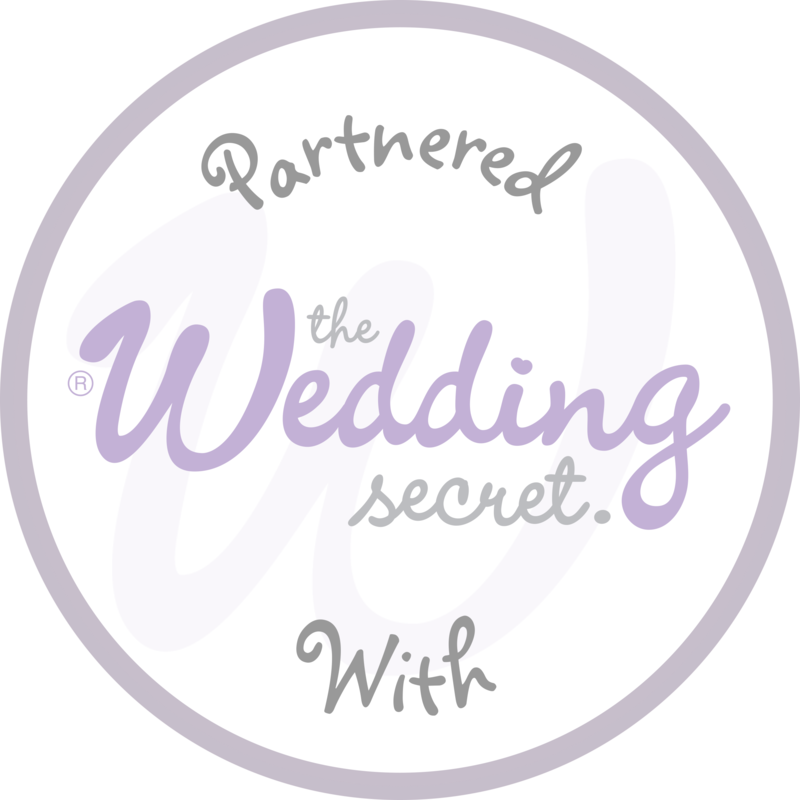 – Can be used at any stage of your big day. – Suitable for Weddings with 50-120 Guests. – Includes special performance for the happy couple. Smaller or more intimate ceremonies and weddings can gain great benefit from my Silver package. Chris will perform for one hour either in a mix and mingle style or a parlour performance. – A 1-hour performance by Chris at your Wedding. – Ideal for Smaller/Intimate Weddings. Have you got time for a 5-minute chat? The first stage after making an enquiry with Chris is a quick 5-minute chat on the phone. 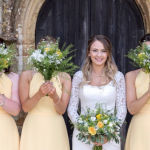 This is an absolutely vital part of booking Chris to perform on your day, it is his firm belief that is utterly essential that you get on really well with all your wedding suppliers and none-more-so than the ones who are going to be with you on the actual day. It’s also the most efficient way of discussing your exact wants and needs from Chris and all the details about your wedding thus allowing Chris to give his professional recommendation on exactly how he can help you create the best wedding possible! If it isn’t 3am then why not give Chris a call now, if he’s available he’ll happily chat away with you – if he doesn’t answer then leave a voicemail with your number and a time to call and he’ll get back to you. 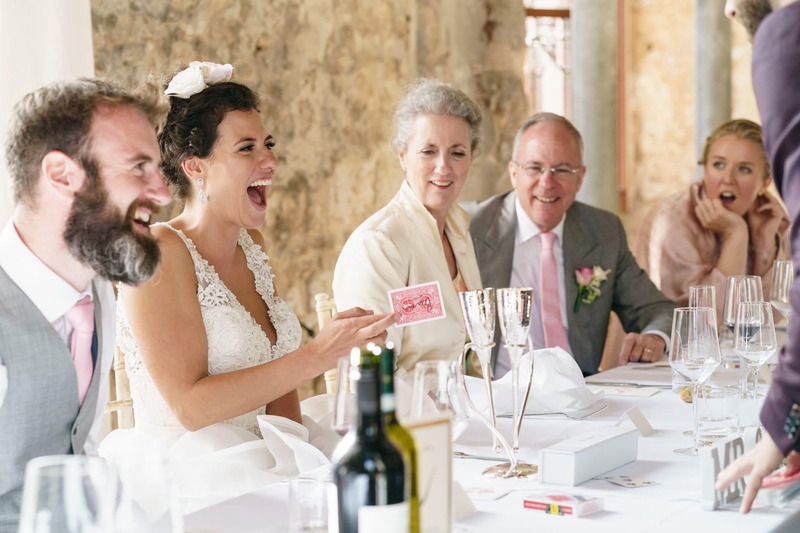 Wedding Magician Chris Piercy in action reading a wedding guest’s mind! When I was planning our wedding it was really important to me that our guests were entertained throughout the day, so when I met Chris I booked him straight away; his talent mesmerised me and I knew he would be perfect. He didn’t disappoint. Our guests were amazed by him and 3 weeks later I am still hearing extremely positive feedback. I spent a lot of time with Chris on the day, simply because I was intrigued and fascinated at what he was going to do next. We cannot thank Chris enough for helping to make our day perfect and creating memories which will never be forgotten. If you're looking for entertainment suitable to everybody; without a doubt you need Chris! We had never met a real life wizard until we booked Chris for our wedding! Both ourselves and our guests were blown away by how amazing the magic was, it really kicked off our celebrations well, everyone is still talking about him now! We cannot recommend Chris highly enough we now need to arrange another opportunity to book him again! 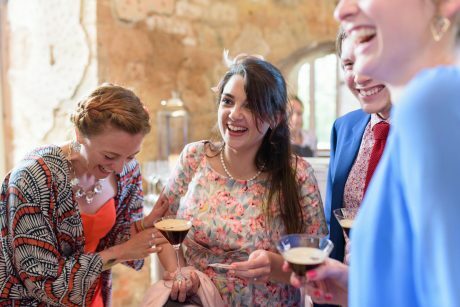 What have I planned to keep the atmosphere happy and relaxed during my wedding day? 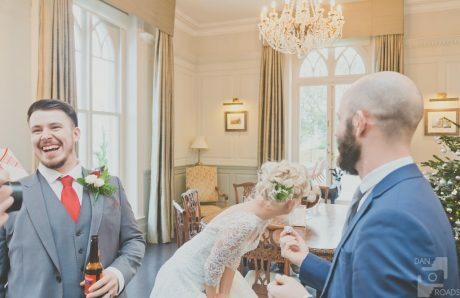 What are my guests going to be doing during my wedding photos? Would I like all my guests to integrate seamlessly together? Should I get something organised to be ensure the ice is broken at the Wedding Breakfast? What do I have in place to keep my guests entertained between the Wedding Breakfast and evening? 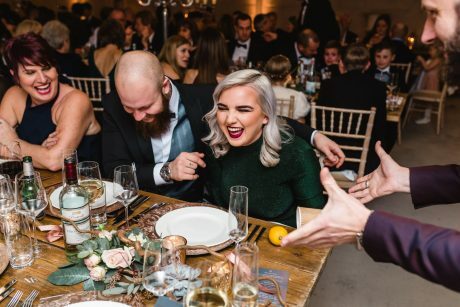 Maybe these are questions you’ve asked yourself already and that’s why you’re on Chris’ website or maybe you didn’t realise that by booking Chris to be your Wedding Magician you can actually answer all these questions and more. 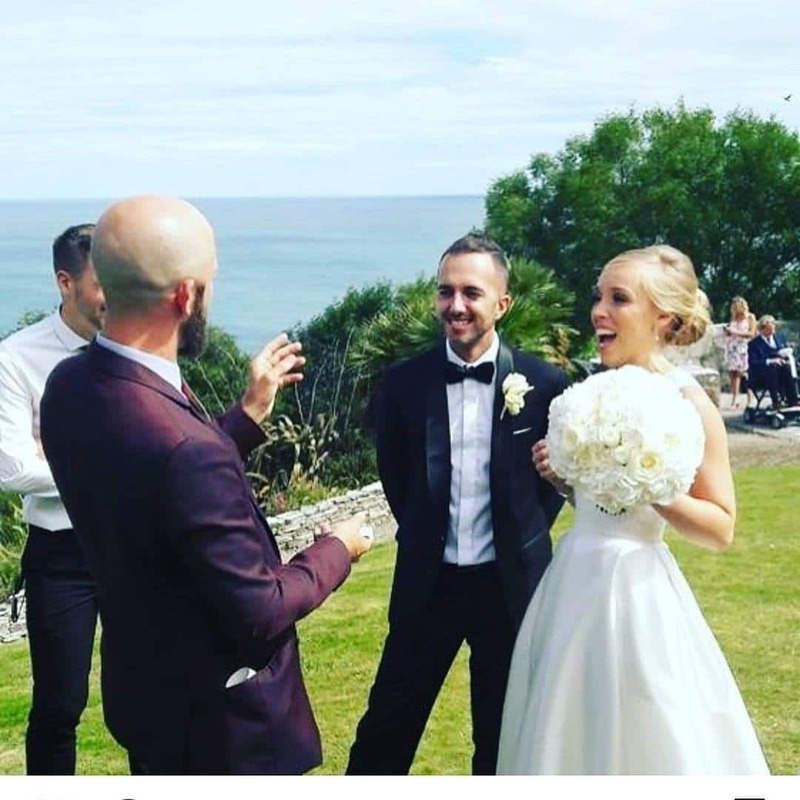 Chris is the recommended wedding magician at some of Dorset and the UK’s most prestigious venues as the Wedding planners and coordinators realise and understand the true value of Chris providing wedding entertainment on your wedding day . It is not actually in the fact that his truly mind blowing magic will be spoken about for a long time afterwards but it is because he provides an invaluable service on the day – keeping guests occupied and happy during the natural lulls that occur, breaking the ice between friends that haven’t met yet, keeping the happy atmosphere of the day flowing and allowing you and your partner to relax completely into your day knowing that everyone is being taken care of. Updated on 2019-03-15T14:23:44+00:00, by Dorset Digital.